Thirty nine cozy rooms are set around a lovely garden courtyard, perfect for lounging and mingling in a relaxed and friendly ambiance. Have a cocktail party with a view of the Hollywood Hills on the Roof Terrace or a festive dinner at Cafe Amici, indoors or 'al fresco' on the patio. 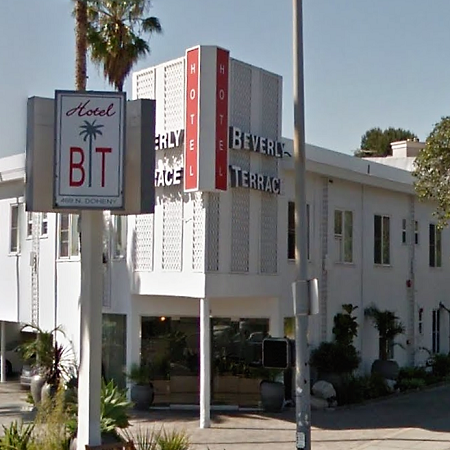 Luxury hotel, blending Hollywood glamour with European elegance. 295 rooms on ten floors, including 28 elegant and spacious suites. 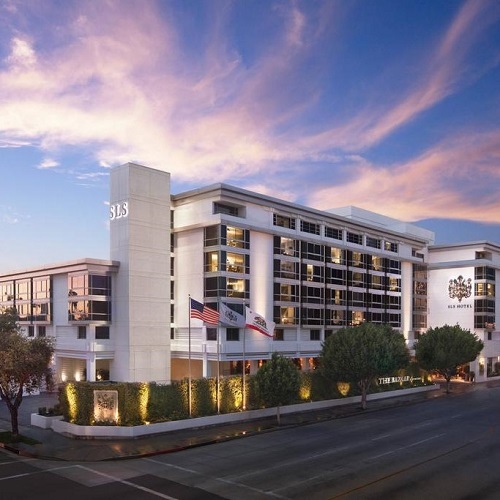 Pets friendly: Sofitel Los Angeles at Beverly Hills offers specialized services and first-class amenities designedto make pets and their owners feel at home while traveling together. A fete extraordinaire. 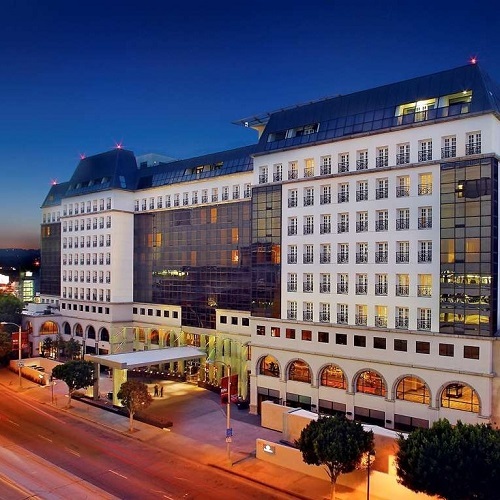 Service standards you would expect from a Los Angeles luxury hotel with a serious injection of boutique style, creativity and fun. Fantastical interiors by Philippe Starck and culinary arts from the imagination of Chef Jose Andres. Each of the 297 recently redesigned and re-imagined guest rooms and suites are ultra-modern and elegant.